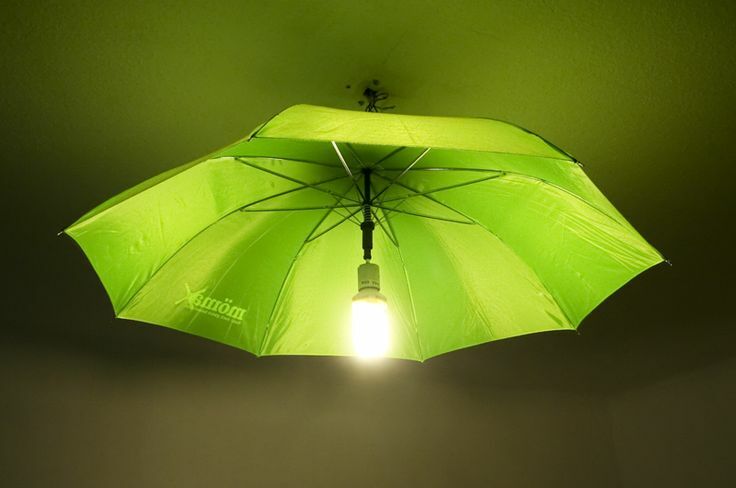 Lighting is one of the most important parts in your home. 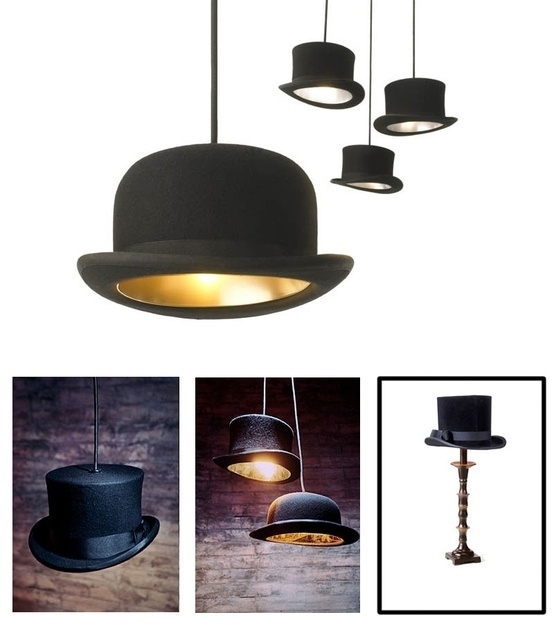 Innovative, modern or handcrafted lamps, chandeliers can bring warm and cozy atmosphere to your home. 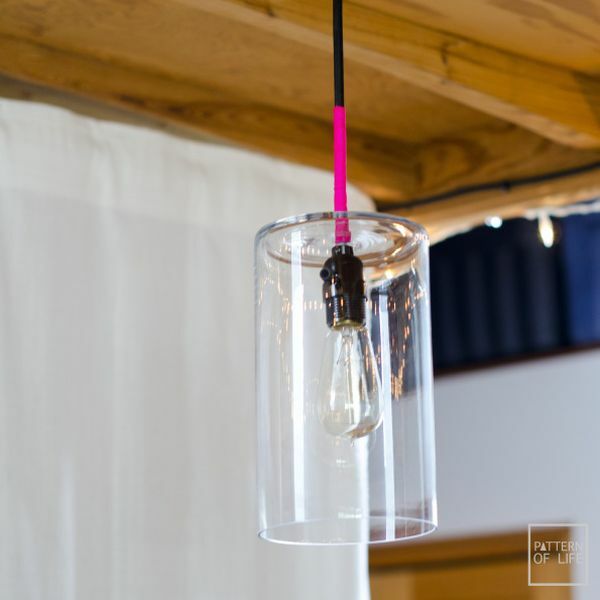 We have searched the net for most interesting and easy to make lighting for you. 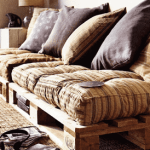 Check these incredible handcrafted beauties and maybe do one yourself. Warning! 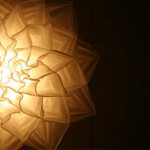 Check your lighting source and materials before creating lamp, pendant or chandelier. 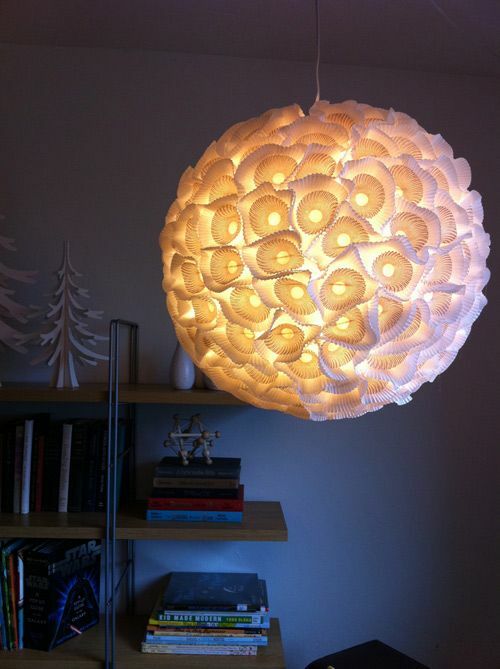 Most of these lighting ideas do not work with heating bulbs. Heating bulbs will set on fire materials that are not fire proof. 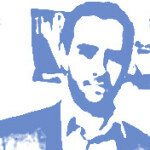 Minimalist design, good looking and gives a lot of light. Light spread is huge, because there are no light blocking parts. Instead of red twine, wrap the wire with neon twine and enjoy the effect even when the light is turned off. 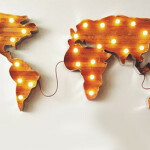 Materials: socket,wire,bulb, desired color thread/twine. 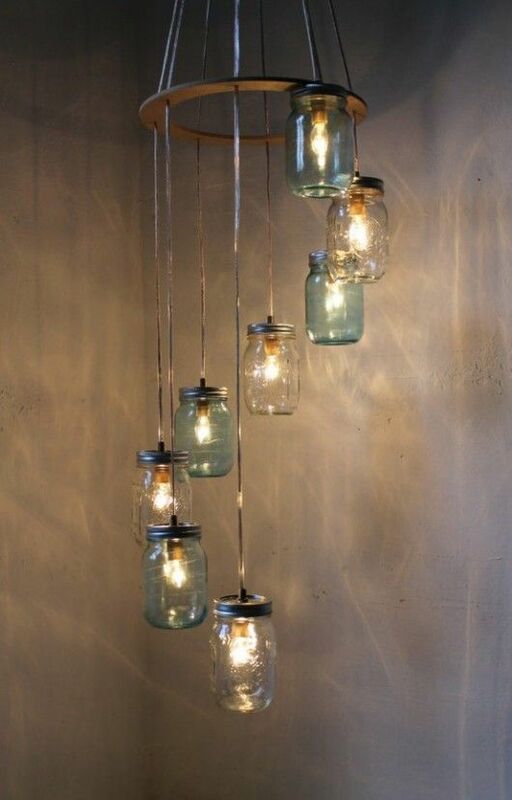 Do you still save all those jars? There’s already full basement of these? Here’s the way to use them. Gives that natural look you can find in country barns. 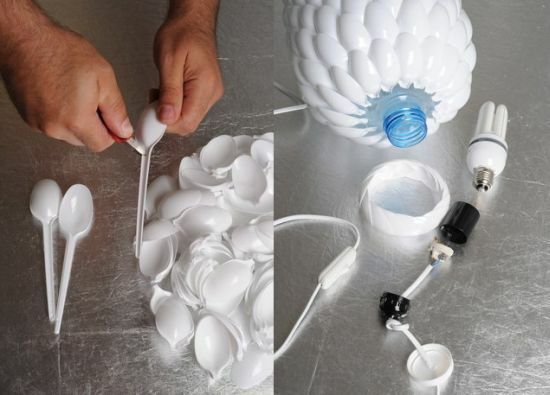 Simple and rally cheap pendant light made out of plastic bottle and spoons. 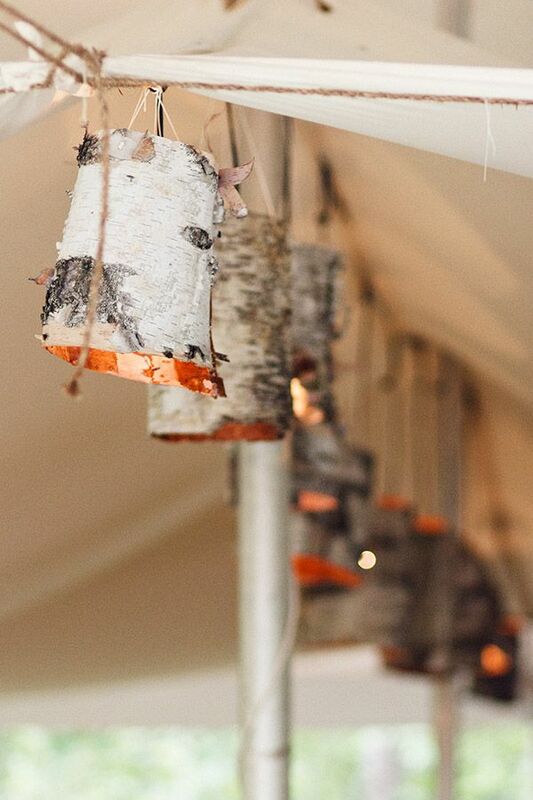 This installation generates warm and cozy light. Although, it requires low energy LED light, that spreads least amount of heat in order to prevent melting and setting on fire. Really simple and easy to do. You will need glass bottle/lantern/etc, twinkle lights (those from Christmas tree should be ok) that do not generate a lot of heat and that’s it. 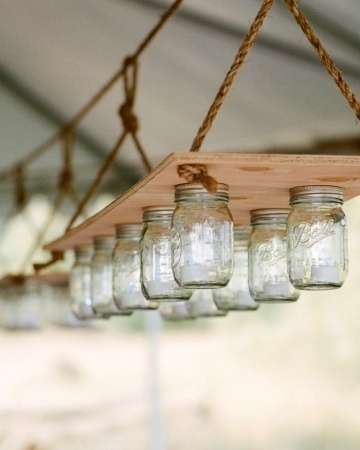 Put twinkle lights to bottles and light them up. 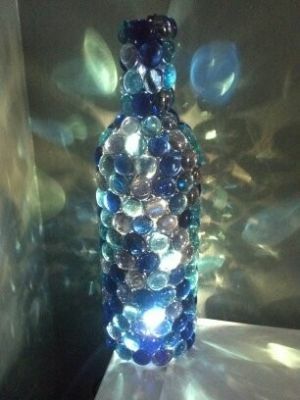 Decorating bottles may give you great effects. These looks really luxurious and there so many variations of them. 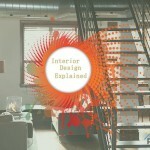 Just choose the one that is most suitable for room design. 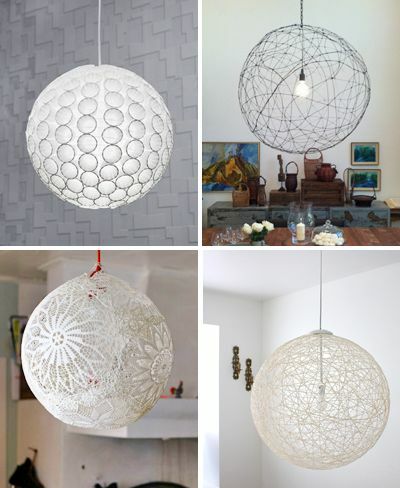 Most of these round pendant also requires low-energy LED lights. One source for exact instruction from made by girl. Getting ready for your child’s birthday? Or just like colorful interior? 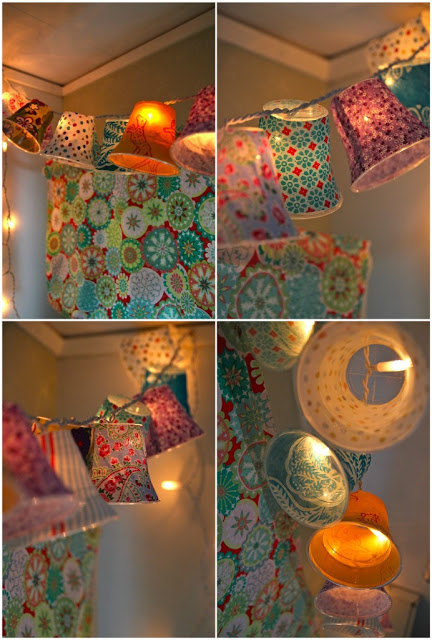 Use your Christmas lights and add some plastic cups, wrap those cups in gift paper. Voila! The lighting is done. 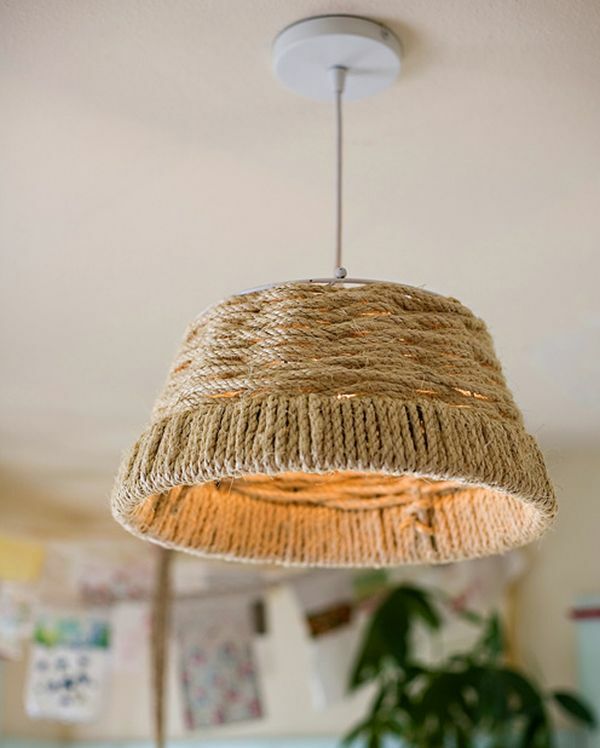 Really good looking and warm pendant made out of casual materials. 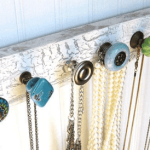 Hang it in kitchen over table or kitchen island and you won’t regret. It is hard to imagine something even more natural than this. 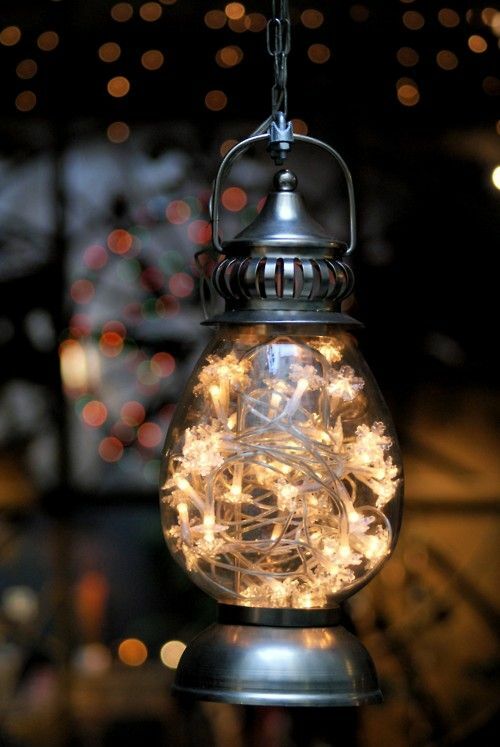 Perfect for terrace or outside/yard lighting. Romantic lighting during dinner is a must. 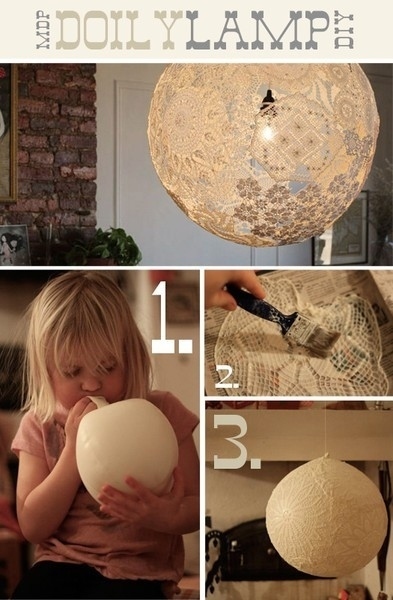 So throw those old candles and make some wine glass lamps instead. 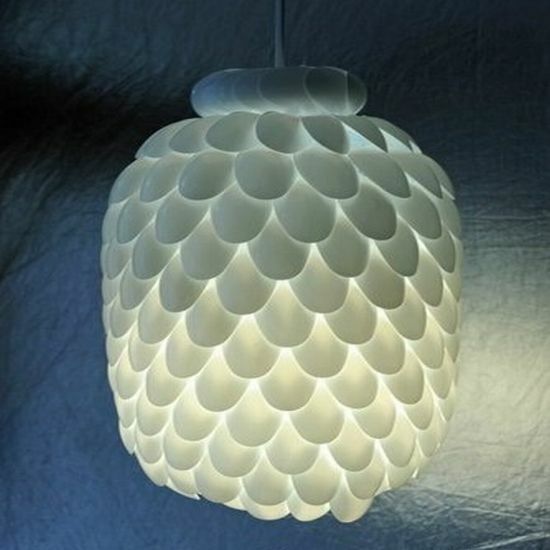 Paper lamps not only looks good, but also creates beautiful shadows from their textures. 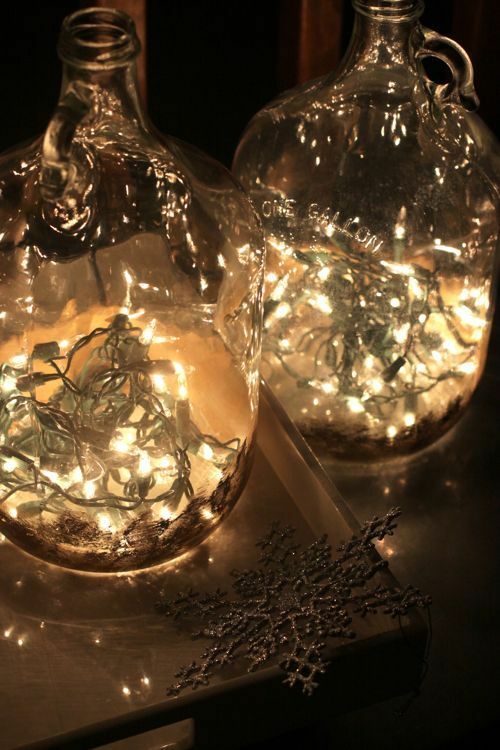 One more really simple way to light up your home is use rechargeable bottle plug lights. Just plug it into the bottle and you have a good looking fuzzy light. Get one from amazon. Should be great addition to the man cave or some manly design room. 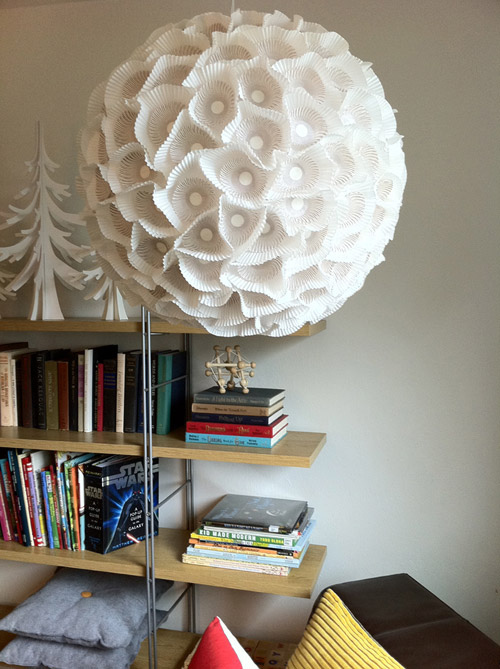 Can lamps are rally easy to make. These spread fuzy and warm light. 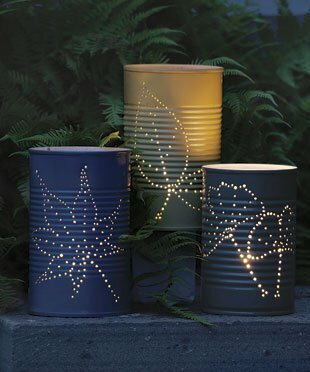 Use these outside in your terrace or garden and light the environment.